Come experience our Berkshire Winter Wonderland at The Rookwood Inn ! Winter is one of the most beautiful seasons here in the Berkshires! We have pristine landscapes, snow covered mountains and bushes with pops of color from winter berries. What we don’t have are crowds of people, dirty snow or traffic jams. We have downhill ski slopes, wonderful trails for cross country skiing, and parks for snowshoeing. 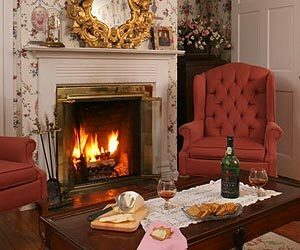 At The Rookwood Inn you can snuggle up with your honey, enjoy some old or new friends, a puzzle or a good book in front of a beautiful fire in your room or our guest parlor. You only have to go out if you want! Sit by a cozy fire and kindle conversation and/or romance. Play a game, sip a beverage of your choice, enjoy one of our treats to tickle your tastebuds (cheese & fruit platter, charcuterie plate, chocolate covered strawberries) or rediscover conversation! Dine in a fabulous local restaurant with no wait, or order one of our special in-house dinners. Browse in our galleries, find unusual items in our shops. Relax with a massage at the inn or a yoga class nearby. While the crowds might be gone, there is still lots of culture and tons to do in the Berkshires during the winter months. 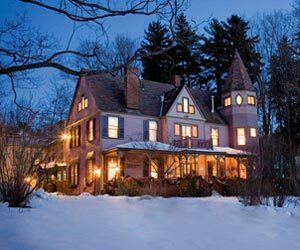 Come see why the Berkshires and The Rookwood Inn in winter is so wonderful. Book your room today!